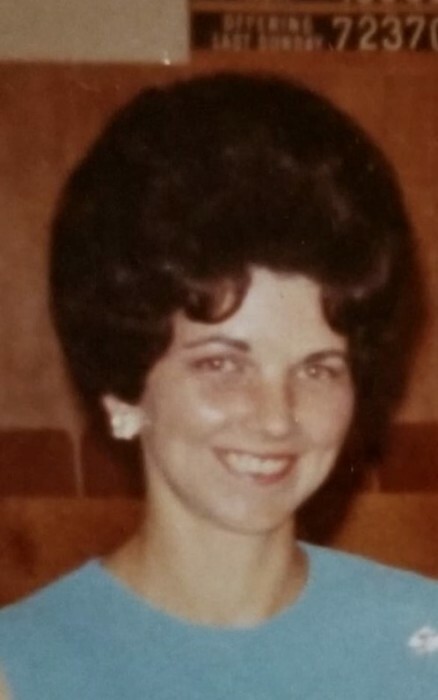 Elizabeth Anne Thompson, 76, loving wife, mother, grandmother, sister and aunt passed away on Saturday, February 9, 2019. Inurnment services will be 11:00 am Thursday at Dreamland Cemetery in Canyon. Liz was born on June 24, 1942 in Tulsa Oklahoma to Douglas and Mildred Rye. She graduated from Guymon High School. She was the mother of three children, Ronnie, David, and Lisa. She married the love of her life, Dow Thompson in 1971. They spent their life in Amarillo. She loved her family more than anything else in her life. She had seven wonderful grandchildren and six great grandchildren. When Liz was young she had a passion for singing and nursing. She graduated from Guymon OK High School class of 1960. She had desires to become a nurse and a singer. Though she chose to put those desires aside and stay home with her children, she continued her passion for the arts by writing songs and poetry. She won poetry contests and competed in singing and writing competitions throughout Texas. She was known for being helpful, witty and fun. If you or anyone you knew needed a hand out or a hand up, a place to stay or a warm meal, Liz and Dow would be there for you. She was a kind and helpful spirit. Liz was preceded in death by her husband, Dow Thompson; her father, Douglas Rye; her stepfather, Raymond Lawrence; her mother, Mildred Rochte; three siblings Rose Marie Klassen, Mary Helen TeBeest, and Suzie Lynne Schubert. Survivors include two sons, Ronnie Trammell and wife Rhonda of Oklahoma City, OK, and David Johns and wife Shannon of Amarillo; a sister Raelene Patricia Rigg and husband Doug of Newport, WA; seven grandchildren, Sydney Johns, Avery Johns, Ryan Doolittle, Karen Hatfield, Katie Dee, Ronnie Trammel, Jr., and Paul Trammell; six great-grandchildren, Owen, Danni, Mack, Drew, Camille, and Samantha; and many nieces and nephews that will miss her greatly.